Situated in Pulaski County, Arkansas, North Little Rock is a friendly city across the Arkansas River from Little Rock in the central part of the state. The city’s beating heart is the vibrant Argenta Historic District, which is named after the city’s original name. 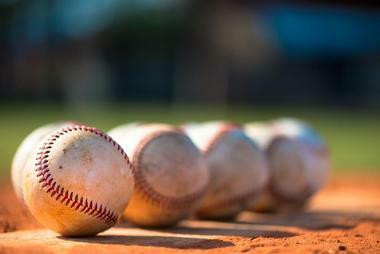 Other interesting areas of North Little Rock include Dickey-Stephens Park, the home of the minor league baseball team, the Arkansas Travelers, and the metropolitan area's leading entertainment venue, the Verizon Arena. The Fort Logan H. Roots Military Post Historic District is an important area that was once a military base located known as Fort Logan H. Roots (usually referred to just as Fort Roots) with several important hospitals. Named for Congressman Logan H. Roots in honor of his excellent work in the negotiations, the military base was set on a high promontory overlooking the Arkansas River and today still retains many of the historic buildings flanking the former parade ground. The original buildings surrounded an 11-acre parade ground in the center of the original post, some of which were converted to hospital structures, but were later demolished. 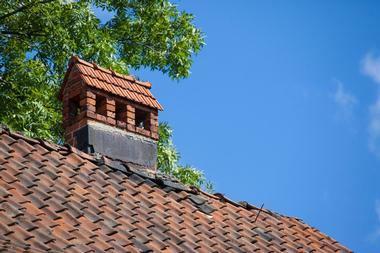 Today, the entire district is listed on the National Register of Historic Places and is open for the public to explore. 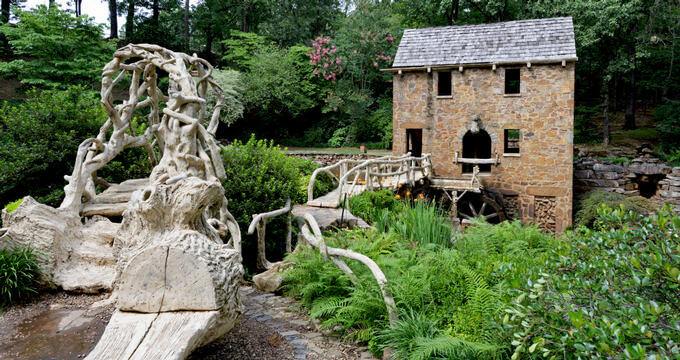 The Old Mill is a quaint 1880's-style water mill with rustic outdoor sculptures that can be explored on guided tours. Located in T.R. Pugh Memorial Park, the Old Mill, which is a replica of the old mills that were in service in the early 1800s provides a glimpse into the history of the region and features actual historic relics including the grist mill itself that date back to 1828, two original milestones, and the large mill rocks used for seats that date back to 1823 and 1840. The Old Mill is listed on the National Register of Historic Places and is most famous for its part in the opening scenes of Gone With The Wind. The Arkansas Inland Maritime Museum is a maritime museum dedicated to presenting the maritime history of the region and includes historical artifacts from the nuclear-powered cruiser USS Arkansas, such as the ship's bell and anchor. 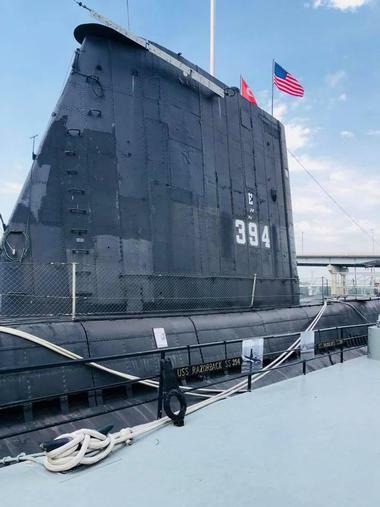 Located on Riverfront Park Drive, the Arkansas Inland Maritime Museum features other significant exhibits such as the USS Razorback, a Balao-class submarine, which served during the Second World War, as well as the Cold, Korean and Vietnam wars. Visitors can enjoy an interactive experience of the Razorback with guided tours and sleepovers on the submarine. Other exhibits include a US Navy tugboat called the Hoga, which responded to and survived the attack on Pearl Harbor. Dickey–Stephens Park is a baseball park in downtown North Little Rock that serves as the home to the Arkansas Travelers of the Texas League. Constructed in 2007 as a replacement for the Ray Winder Field, the Dickey–Stephens Park is named after two pairs of baseball-loving local Arkansas brothers - former Major League Baseball catcher George Dickey, Baseball Hall of Famer Bill Dickey, W. R. Stephens, and Jackson T. Stephens, and has a seating capacity of 7,200 which includes 5,800 fixed seats. Located at the corner of the Broadway Bridge and Broadway Avenue and directly across the Arkansas River, the ballpark boasts beautiful urban views of the skyline of downtown Little Rock. Burns Park is a 1,700-acre urban municipal park in North Little Rock that features two 18-hole disc golf course, a variety of sports facilities, camping, and the Funland Amusement Park. The golf courses include the 18-hole Championship Golf Course, and the 18-hole Tournament Golf Course, while sports facilities include a tennis center, a softball complex, a baseball park, a soccer complex, a Bonzai BMX track, and several playgrounds. 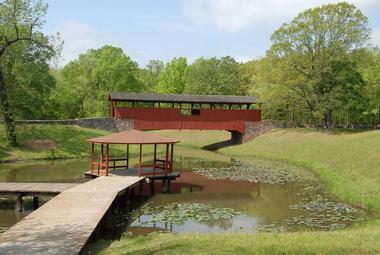 The park also features a covered bridge and a pre-Civil War log cabin, an archery range, a seasonal amusement park, and several hiking and walking trails with access to the Arkansas River Trail. Victory Lake can be found in Burns Park and provides bank and boat fishing for the public to enjoy. 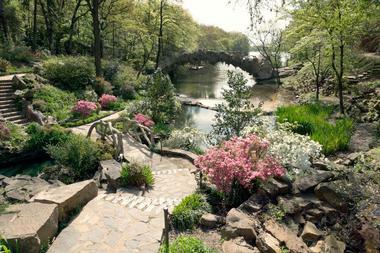 The North Shore River Walk is a three-acre park situated along the north side of the Arkansas River and one of Little Rock's busiest attractions. 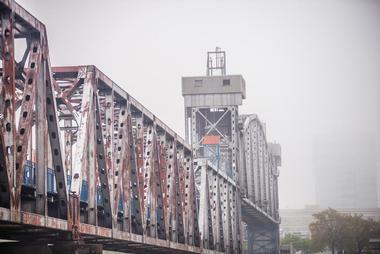 The park features a jogging trail and bike path, lighted sidewalks, a beautifully preserved paddle wheeler called the Arkansas Queen, and the longest-serving submarine in the world – the U.S.S. Razorback. Other facilities on the North Shore River Walk include a picnic area with tables and benches, a playground for children, a boat ramp, and the Junction Bridge Pedestrian and Bicycle Bridge, which crosses the Arkansas River. The River Walk also features picturesque promenade with beautiful views of the Arkansas River and Little Rock skyline, as well as an amphitheater pad, permanent restroom facilities. 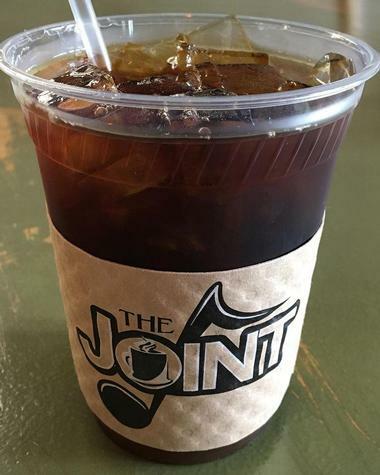 The Joint is a cozy cabaret theater and coffeehouse that serves specialty coffee, fine wines and craft beers, light bites, and live entertainment five nights a week. 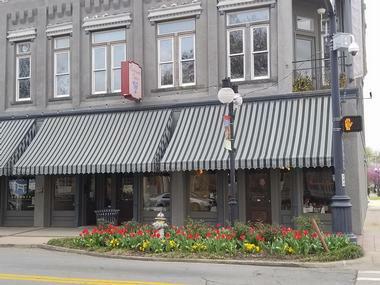 Located on Main Street in the heart of Little Rock, The Joint serves freshly baked pastries, delicious cuisine, locally-roasted coffee, signature cocktails, fine wines, and craft beers, all of which can be enjoyed in the 20-seat café or out on the lighted patio, or the 100-seat cabaret theater during a show. Both venues are also available for private parties and special events. The rental of the site includes the use of the 100-seat theater, the 40-person capacity lobby, and coffee shop, and a cozy lighted patio, and a customized menu and beverage service. 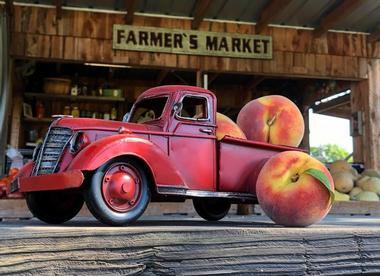 Located in Central Arkansas, Me & McGee Market is a community market that provides an outlet for local farmers and producers to showcase and sell their wares. The locally owned and operated market sells a variety of fresh produce ranging from grass-fed beef, buffalo, pork, lamb and poultry, dairy products such as eggs and cheeses, and homemade goods like jams, jellies, honey, and more. Me & McGee Market also offers produce grown in the on-site garden produce such as pecan nuts from nine large trees, herbs, spices, pickles, tomato salsa, and other goodies. Me & McGee Market is open Tuesday through Saturdays during the Spring season. T. R. Pugh Memorial Park is a recreational park that is home to The Old Mill, a beautiful replica of a 1880s era water-powered grist mill that was used in the opening scenes of the movie classic Gone With The Wind. 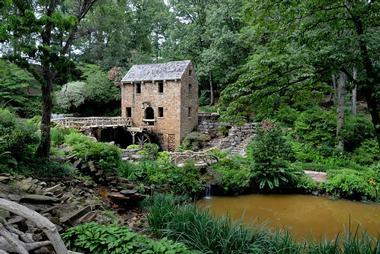 Designed by Frank Carmean, who also created the replica of the mill and built by Justin Matthews in 1933, the park is named in honor of his close friend and benefactor, Thomas R. Pugh and is listed on the National Register of Historic Places. Artist Dionicio Rodriguez designed the concrete work which is made to simulate wooden, iron, and steel structures, and today, the Old Mill serves as the backdrop for weddings and portrait photography due to its picturesque views. The North Little Rock Heritage Center is the home of the North Little Rock History Commission, whose mission is to collect, preserve, and care for the materials that showcase the history of the city from the earliest times. 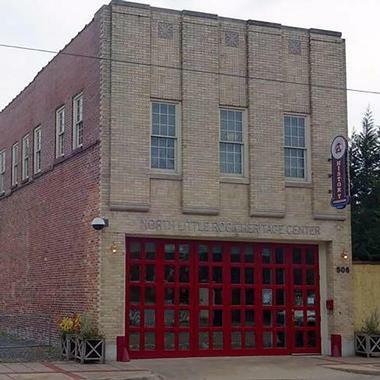 Located in the old Argenta fire station, the North Little Rock History Commission hosts a variety of temporary historical exhibits and keeps an archive of the materials relating to the history of the City of North Little Rock. The commission also provides a range of educational programs, workshops, and presentations, and encourages in scholarly research on the history of North Little Rock. Established in 1995, Greg Thompson Fine Art represents some of the top artists in the Southern art genre along with an essential artist's Modern art movement from the turn of the century to the present day. 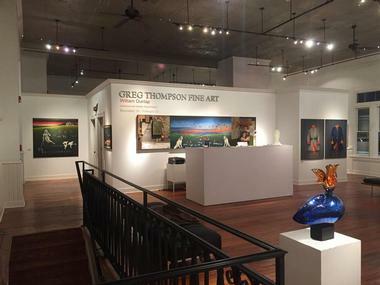 Hailed as one of the top art galleries and private dealerships in the Southern United States, Greg Thompson Fine Art is owned by Greg Thompson, who has spent decades in and around the fine art world developing life-long relationships with collectors, curators, private dealers, artists, and appraisers. The gallery specializes in purchasing original fine art, lecturing museum and collector groups on topics such as art as an investment, public art and important artists and genres in the Southern and Modern art movements. 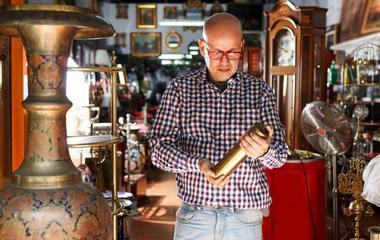 Twin City Antique Mall offers a wide range of antiques and vintage collectibles from the 1800s to 1970s. Located on Crystal Hill Road in North Little Rock, the mall is open from all day and offers the choice of online or in-store shopping seven days a week. The mall features a 9,000-square-foot facility with hundreds of vendors selling a wealth of fine antiques, collectibles, vintage décor and furnishings, and other unique pieces. Whole Hog Café North Little Rock is a locally owned and operated restaurant that specializes in smoking and curing meat, preparing mouthwatering barbecue dishes and serving them in a friendly, inviting atmosphere. Using the ‘slow food’ approach, the culinary team selects the freshest, premium cuts of meat and slow smoke them over pecan wood for hours at a time until the meat is cooked to perfection. 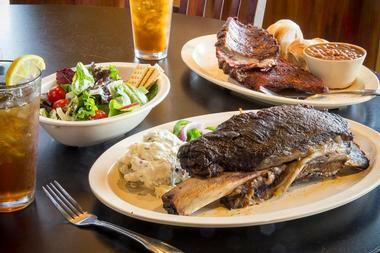 Renowned for preparing and serving award-winning barbecue, Whole Hog Café North Little Rock is open for lunch and dinner, Monday through Saturday and serves a menu with barbecue favorites such as pork ribs, beef brisket, pulled pork and chicken, and whole hog specialties. 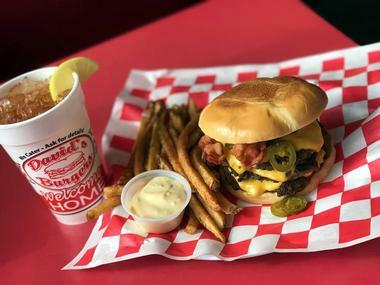 David’s Butcher Boy Burgers is a new burger joint at Markham and Bowman in Little Rock that serves a full menu of fantastic burgers. Regularly packed to the gill, the bustling restaurant is famous for their serious burgers, which are freshly ground every morning and served on lightly toasted buns with standard toppings of tomato, lettuce, onion and pickles, and additional extras like a variety of cheeses, caramelized onions, mushrooms or jalapenos, and baskets of golden fries. Boasting several locations around the state, each of the David’s Butcher Boy Burgers is decked out in red and white, have working jukeboxes with a variety of old and new tunes and exude a friendly, inviting ambiance in which to tuck into mouthwatering burgers and shakes. Located in the Wyndham Riverfront Little Rock Hotel, the Riverfront Steakhouse is a refined restaurant that serves prime steaks and fresh seafood, along with an extensive wine list of fine wines from around the world. The Riverfront Steakhouse specialized in USDA prime meats, and other specialty cuts cooked in an in an infra-red broiler oven and served with world-class service and hospitality in an elegant and refined atmosphere. The menu features signature dishes such as starters of Dungeness Crab Cakes and Banging Shrimp Tacos, entrées of Filet Mignon and Surf and Turf, and decadent desserts. An acclaimed wine list accompanies the excellent cuisine, along with signature cocktails and imported spirits. 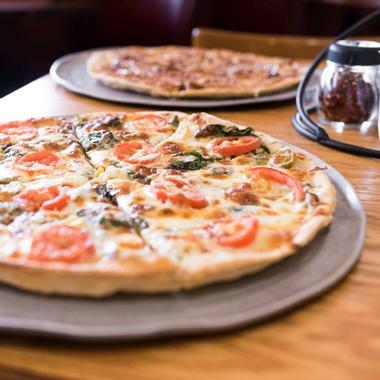 Founded in 2004, American Pie Pizza is a family-friendly Italian chain that is owned and operated by two sisters who have a passion for authentic and delicious Italian cuisine. The family-run business treats diners as part of the family and serves homestyle fare of wood-fired pizza with various toppings, handmade pasta with mouthwatering sauces, fresh salads and vegetarian dishes, and hearty entrées of prime meat and ocean-fresh seafood. Desserts range from the cheesecake, ice-cream sundaes, baked apple blossom, and the signature pizzookie – a chocolate chip or chocolate chip peanut butter pizza topped with chocolate syrup and whipped cream. American Pie Pizza is open for lunch and dinner, Monday through Sunday. Ristorante Capeo is a refined Italian restaurant that serves exceptional regional cuisine accompanied by an extensive wine list and served in an intimate space with a bustling open kitchen. Located in the heart of North Little Rock, Ristorante Capeo is an authentic Italian venue that serves a menu of Italian-American fusion with classic items such as stuffed eggplant, fried octopus, seared tuna, fettuccine alfredo, baked lasagna, and a range of thin-crust pizzas. A variety of sides is available with every dish and include kale with sausage, truffled pecorino potatoes, fried sage leaves, and deep-fried potatoes and desserts range from White Chocolate Créme Brulee and Tiramisu to Chocolate Walnut Torte and Saffron & Honey Panna Cotta. 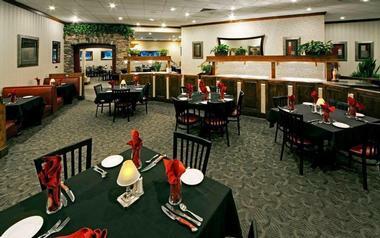 Ristorante Capeo is open for dinner, Monday through Saturday.